The yoga studio I practice at has opened up a location about 20 miles east of me. I know that may seem like a long way to travel for a one hour class, but on occasion I do make the trek as sometimes getting to that 7AM class, even though it is just four blocks away, seems too early and too far. When it does, I opt for the 10AM class one town over, and justify it with a trip to the farm store, and shopping at one of the places I can get really large sizes of things like heavy whipping cream and half and half, which I use a lot of when creating recipes. Sometimes I come home with one of those rotisserie chickens to use for casseroles, too. As an aside, you might want to keep an eye on your own cart if we are in one of those big box stores at the same time. I’ve been known to park my cart in an out of the aisle location, and wander around a bit to look at the books, plants, or garden furniture. When I’m done I have, on occasion, latched on to the cart nearest me, which may, or may not, be mine. 😉 Believe me when I say that this is not a function of my age–not even close. I recall doing this in my early 30’s when I was overwhelmed by a first ever visit to a supersize grocery store when on a trip to the San Francisco Bay Area. By the time I realized that I was not pushing my own cart anymore, it was too late to track down the original cart pusher. Our food choices seemed to be similar but I do wonder if there was anything in my original cart that would have given pause. Now, let me tell you about what happened yesterday after that 10AM class three days ago. In Home Cooking with Kate McDermott, which I’m hoping you might have, I wrote about my mom’s porcelain egg coddlers. It’s on page 22 if you are wondering. I gave them up a long time ago, thinking that I would never need them, and have always regretted doing so. Youthful folly perhaps, as they were both charming and useful, two attributes that are nice when paired together. There’s a second hand store in which I like to wander after class. I look at this and that, but rarely buy much. So, can you guess what I found tucked away on one of the shelves at the store yesterday? That’s right! Two beautiful shiny silver topped egg coddlers like mom used to have! The price was right, too. Only six dollars for both– in my budget which made them even more attractive. Here they are. I’m not sure what I will name them. Flora and Fauna, perhaps? I’ve never used them nor did my mother but just last week I saw someone requesting them on a community sale site where people sell or request items. I’ve never been a poached egg person and figured they would produce something similar. That’s kinda what you get…a fancy poached egg…cooked up in pretty containers! Oh my goodness. I have one of those and had no idea what it was for. It belonged to my husband’s grandmother. I just use it for a little sugar bowl. Can you explain the proper use and function? 1. Bring water to boil in a saucepan. 2. In the coddler put a little butter, and a bit of cream if you like. 4. A little S & P.
5. Screw on the silver top. 6. Carefully place the coddler in the hot water. 7. Cook until egg is set. Perfect! I want some, too! Oh no! Well, I hope that whomever has them is making lots of pies to share with others. And thank you for getting more. Someone once told me that they had purchased three: One for upstairs, One for downstairs, and One to give away! Beautiful. I found some like that at a thrift store and bought them for a friend. It is bitter sweet to see sets of china and other beautiful things in the thrift stores as I know they were part of someone’s life. I know that it’s all just “stuff” but many times there are memories attached that are way more meaningful that the dollar value. I love your musings Kate…you speak from the heart. Hope to get to a pie camp again soon. I know what you mean about beautiful china being cast off. There is a beautiful set of Portmeirion Botanic Garden at the same store right now…with all the serving pieces, too, just waiting for the new right home. I would LOVE to have you return to Pie Camp, Dianne. It was wonderful having you here. They are beautiful pieces, whether you use them or not! Love their names, Flora and Fauna…perfect! I am just not one who subscribes to the book and fad of getting rid of stuff. I do get rid of stuff…a lot of it, as a matter of fact. But, what I am left with is essential: cooking and baking equipment for workshops and pie camps (and that is quite a bit), cookbooks (my reference books), sheet music, and clothes (which take up one small closet and dresser.) So, if you want to keep that old stuff because it makes you feel justified and happy, I say just do it! All kidding aside…my Mom used to have an egg coddler just like Flora! Wonderful memories! Thanks for sharing your life! 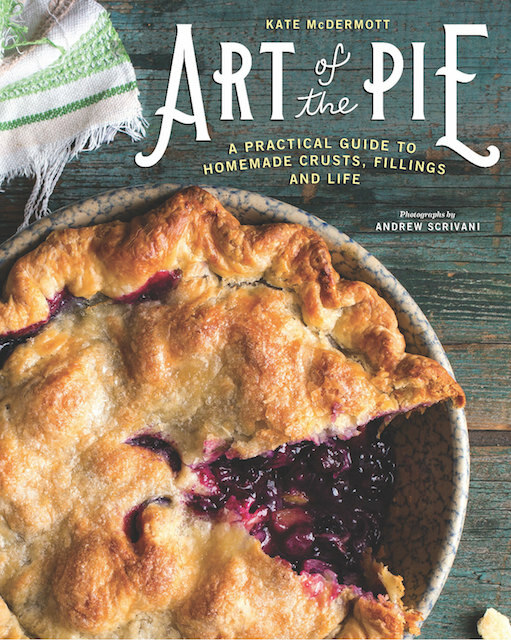 The Art of the Pie was the BEST Christmas gift to give to my baking friends! Oh dear! You found my weakness…the pizza! 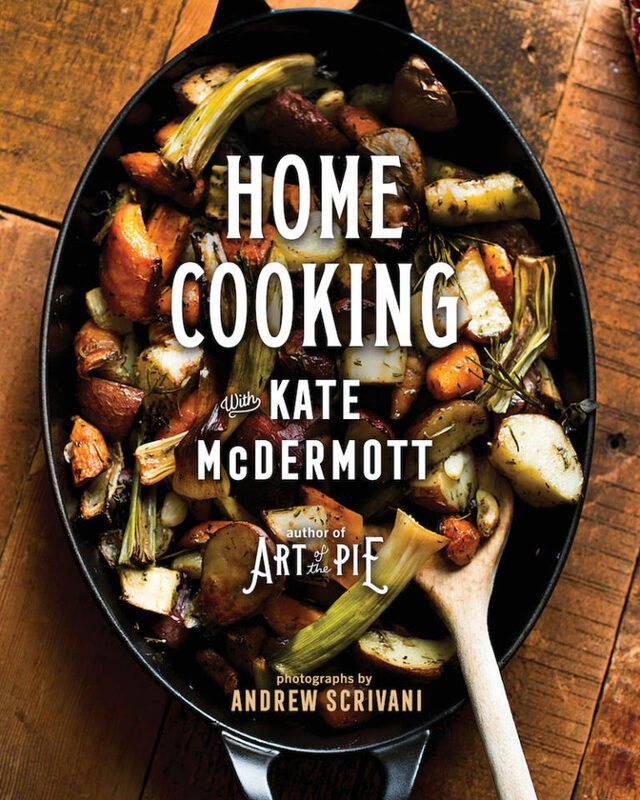 I’m so glad to hear that Art of the Pie pleased your baking friends, too. I am one of the sentimental ones, as well. The older I get, the more I become attached to things that loved ones once loved. I adore your sweet egg coddlers, and your post inspired me to look online for some- and sweet lady, let me tell you, yours were an amazing deal! During this shutdown, I can’t spend what I see them offered for online, but I will keep my eyes open for some at thrift stores. I love your posts and your books! Can’t wait for number 3! Have a wonderful day- and thank you! I just looked and you are so right. I got a screaming deal! I had no idea that they were so expensive. Thanks for checking in today, Jennifer.